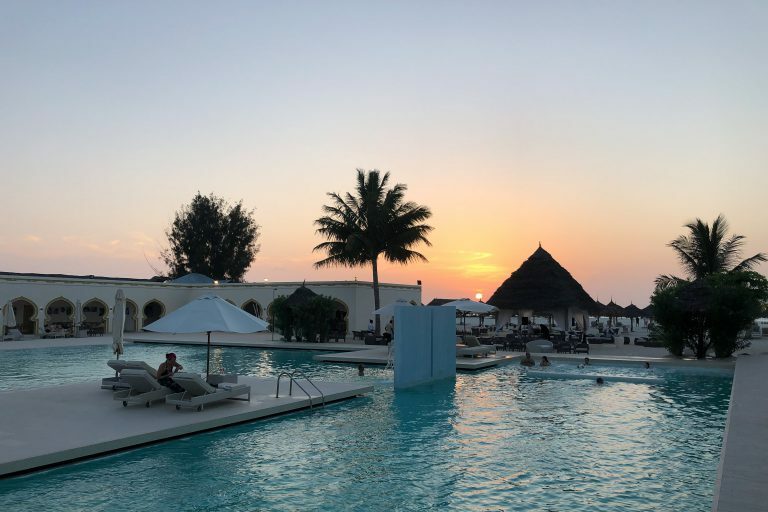 Travel Report: 10 day trip to Tanzania and Zanzibar with tips and recommendations for photographers and travellers. Local Currency: Tanzanian shillings, but USD dollars are accepted everywhere. If possible, take small USD bills for tips, which are expected in USD. Vaccinations: Coming from Germany there are no mandatory vaccinations – even no yellow fever. It is recommended however to have the standard vaccinations, see suggestions by the Ministry of Foreign Affair. Helpful: A small pocket knife and a strong flashlight with spare batteries are often very useful. The cell phone flashlight does it too, but often does not shine far enough. The travel bags are packed again. A total of 46kg of luggage, as much as allowed. Out if this 15kg the photo backpack only. We have outdoor clothing (onion principle) and for Zanzibar (similar to our Mauritius Trip) some swimwear and lighter cloths. Additionally a pair of hiking boots and a pair of solid sneakers. From the last tour still enthusiastic about the “thick Berta” (Nikon 200-400 VR II) I bought this lens. It fits perfectly (with camera boday attached) in the Lowepro Runner 450. Also included a Nikon D500, a Nikon D850, the proven Tamron 150-600 G1, the Nikon 20mm and the Nikon 24-85mm. In addition, a bean bag. I can already mention, that the 20mm could have stayed home, it was not used at all. All together 15kg of „Cabinluggage“. Day 1: This time we travel via London, where we spent the first night. The night is short, since our connecting flight to Zurich is at 6am. Day 2: On time on board everything looks perfect, until an African woman remembers that she put her passport in the checked suitcase. This one must now be picked out. That takes 45min and our connecting flight from Zurich is in danger. Very tight – 20 minutes before departure – we reach our plane to Dar es Salaam. On board we are reminded that a “direct flight” is not “non-stop” and so we get to know Kenya with a stop in Nairobi, at least the airport. On time we land at 10pm local time in Dar es Salaam. In winter Tanzania is 2h ahead of the German time. The immigration costs 50USD, payable in cash, is fast and the employees are friendly. After 20min we have our luggage and visa and discover our driver in the crowd. Another 30min later we arrive at the hotel. Contrary to our expectations, we got 5 hours of sleep. Outside it was still humid with 28 degrees celsius and drizzling. 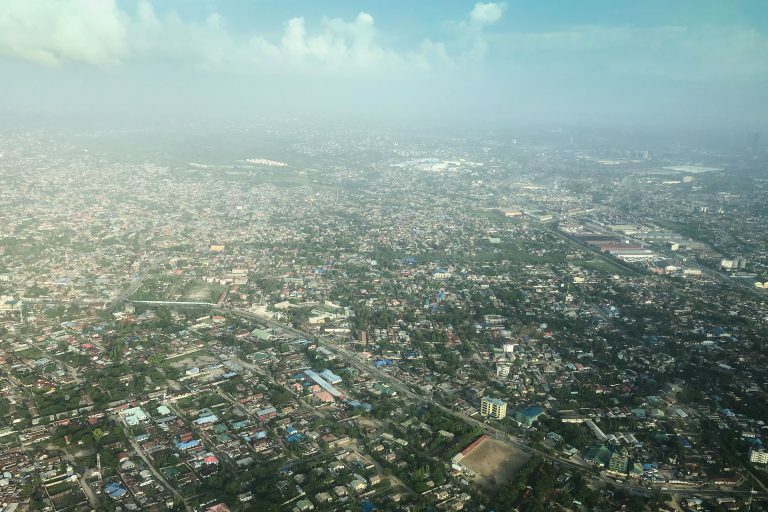 Dar es Salaam is a typical african city with about 5 million inhabitants. Day 3: At 5:30am the same driver takes us back to the domestic airport, where we check in with “Flight Link”. 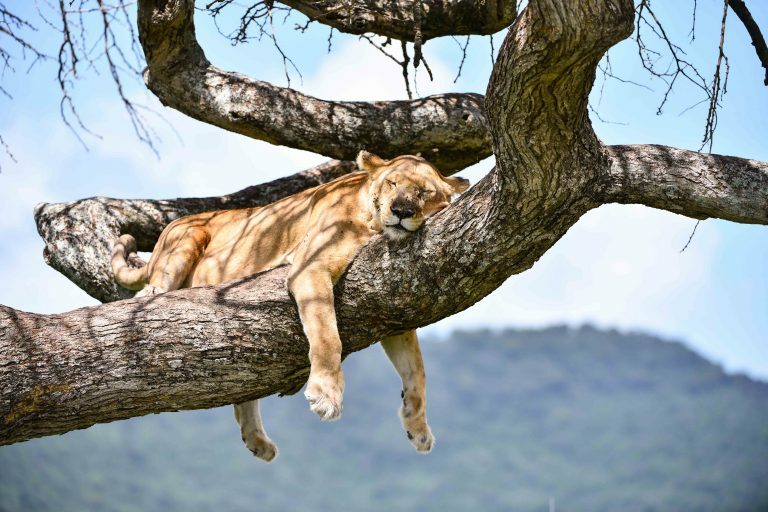 Typical for Africa, everything is very relaxed. You check your bags , baggage tag? Only on demand. Tickets still handwritten. But somehow it works. We have another hour to wait and order Banana cake and water for 5USD. Who said Tanzania would be cheap? Punctually at 7am our Cessna 208 takes off. 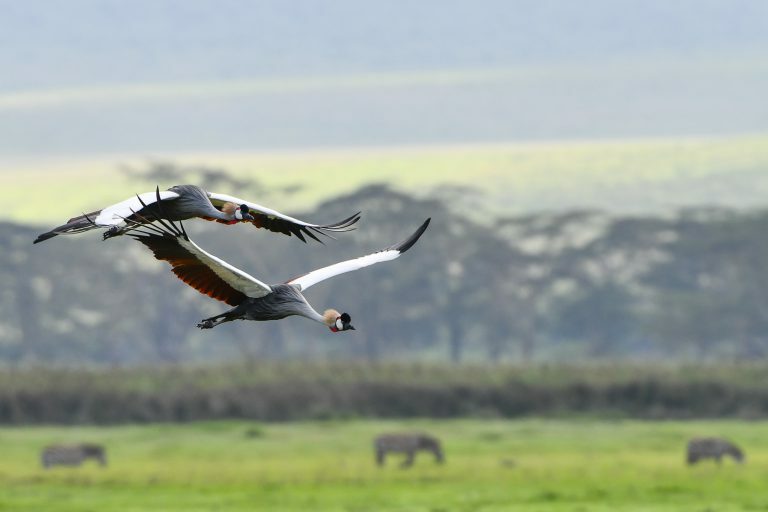 Again, non-stop is not direct and so we fly to Zanzibar first, then Arusha and at the end into the Serengeti. 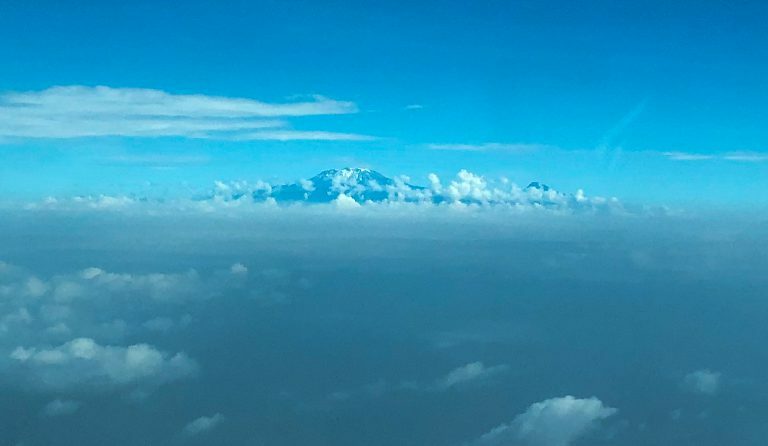 On the way to Arusha we see the Kilimanjaro from the plane. Very impressive. In Arusha we have to leave the plane, which was not planned. African serenity is required, especially if one is informed that the plane will take off in 3 hours from now (without explanation). The airline paid our lunch. Not much but something. 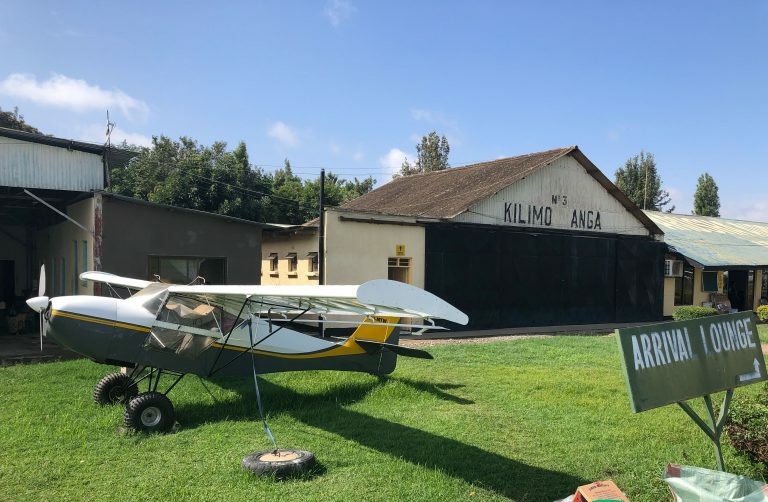 The flight from Arusha to Seronera, in the Serengeti, takes another 1h and even if the landscape is beautiful, we finally wish to arrive, which happens 8h after leaving Dar es Salaam. At the “terminal” Robert, our guide for the next 4 days, was waiting for us. We decide to skip lunch and directly start our safari drive, which was definitely the right decision. 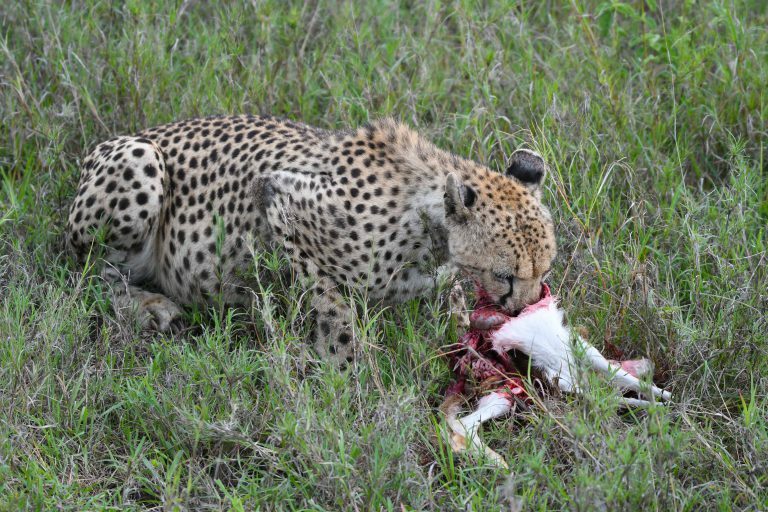 Minutes later we see a Cheetah, which seconds before killed a young Thomson gazelle. No other vehicle nearby, absolute calmness, except for the cracking of the bones of the poor antelope. But that is mother nature, joy for one, pain for others. Afterwards we continue and see elephants, wildebeests, zebras and much more. 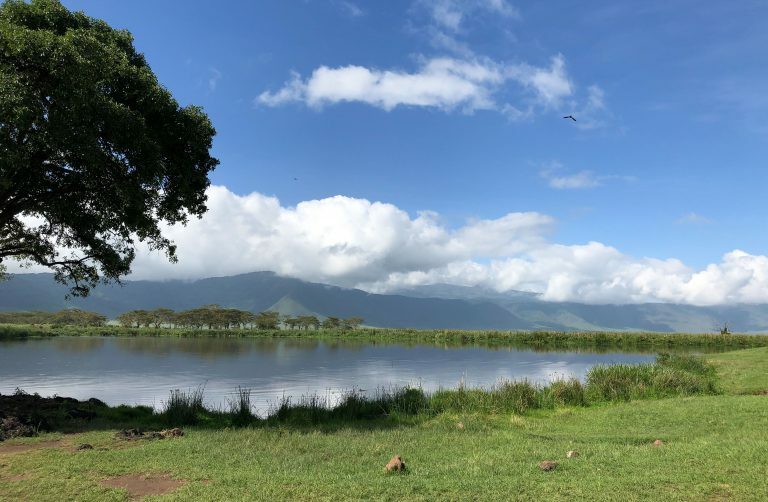 The main difference to our recent Africa travel is the landscape. 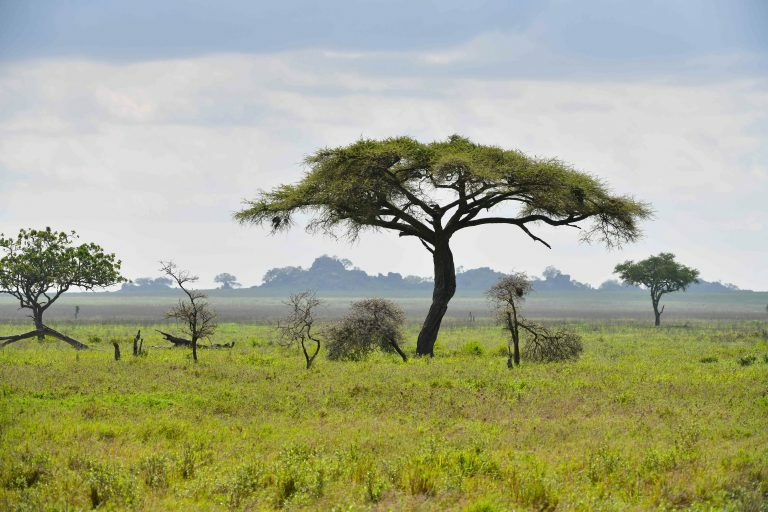 Endless plains and the typical acacia trees. 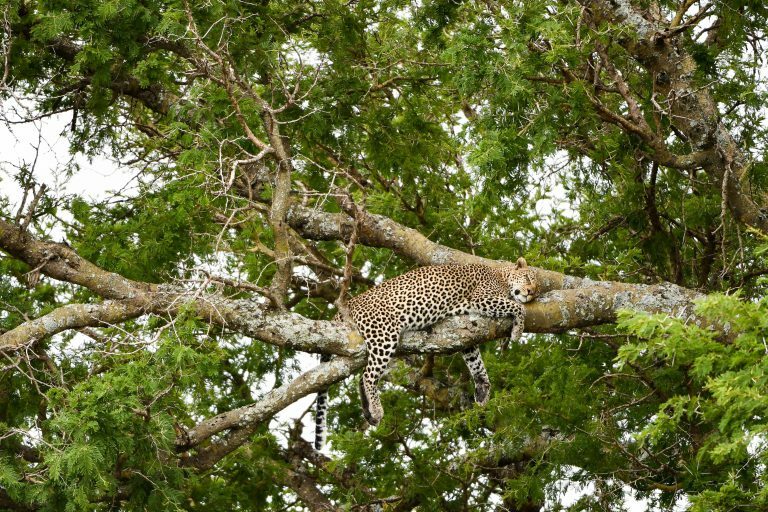 Short time later we see a sleeping leopard in a tree. One hour later it became clear why it was right to cancel the lunch and go straight on safari. It starts raining cats and dogs and we have the feeling to drive on a waterway. 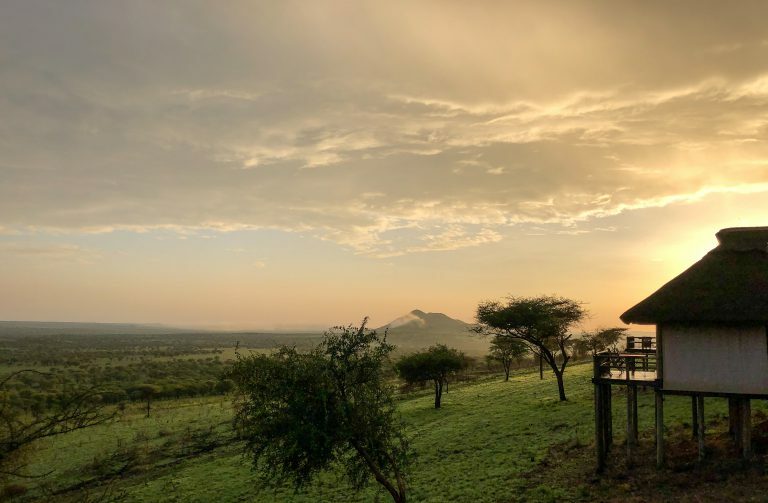 When we arrived at the lodge it was still raining, but short time after, it cleared up and the Kubu Kubu Lodge – our accommodation for the next two nights – gloumed in the sunset. We rest a little bit and go to dinner early, because the long journey has taken all our energy. 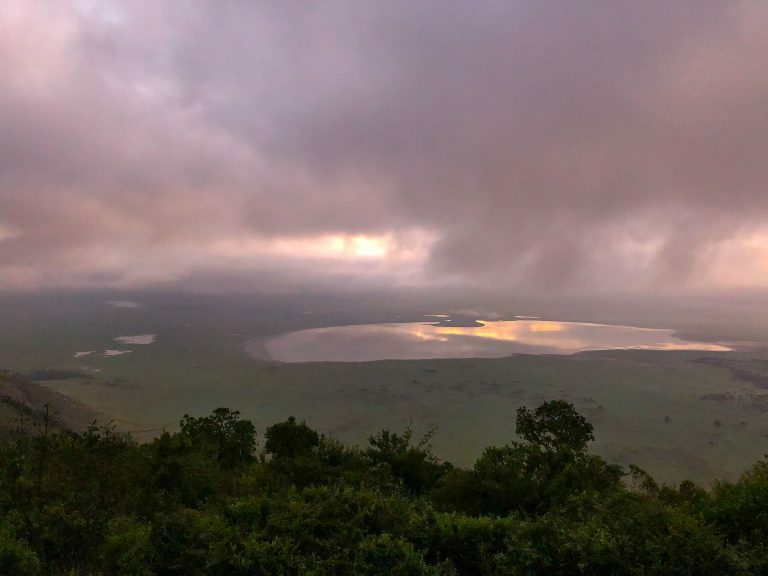 Day 4: At 8am – clearly later than on previous Safaris we did – we have breakfast and start the game drive. It is a beautiful, sunny morning and already very warm. On the drive the first and only Tse Tse fly of the tour finds its way in our car and gets killed by the driver quickly. 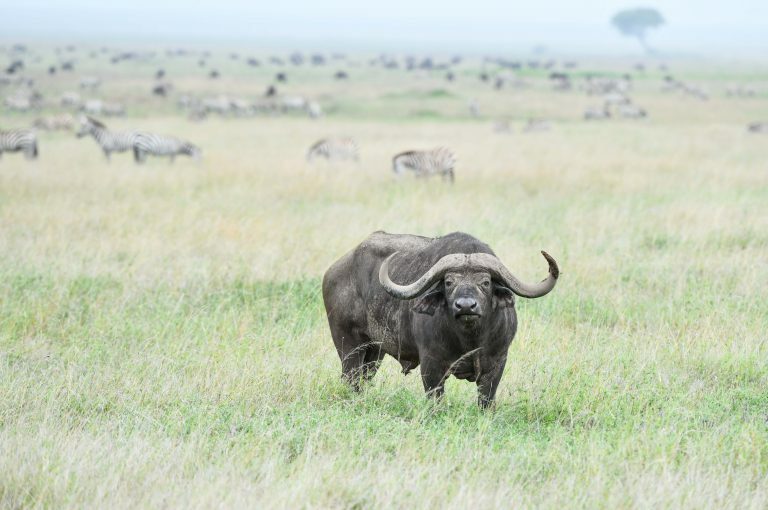 We see many lions and huge herds of zebras, wildebeest and buffaloes. Also on the second day the Landscape is breathtaking. 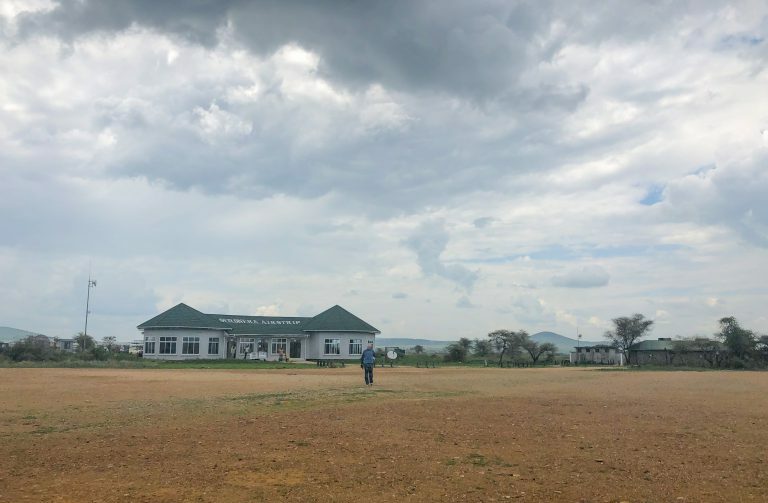 Grasslands as far as your eyes can see, huge acacia trees and blue sky with cumulus clouds that will transform into a thunderstorm in the night. 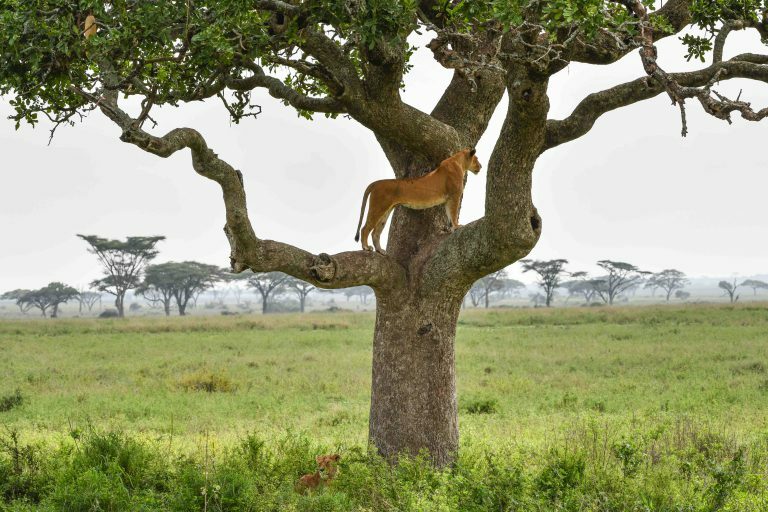 First time we get to see lions relaxing in the trees. 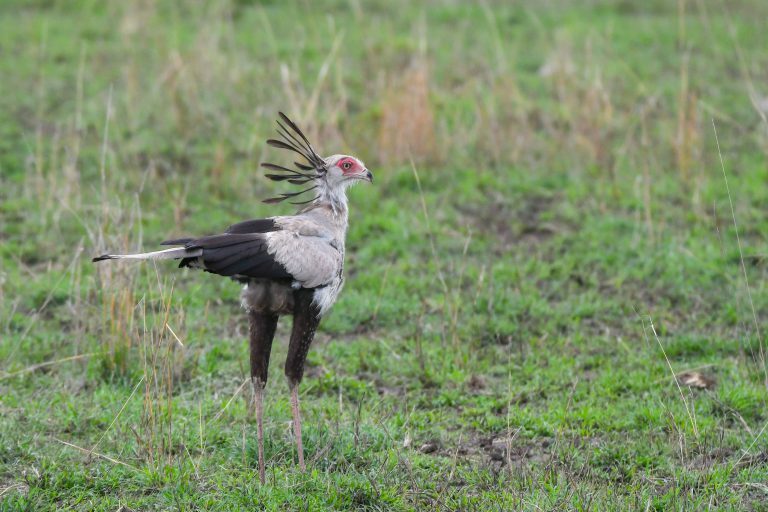 On top many different bird species, like the secretary bird. Close to the lions there are always many harmless but anoying flies. 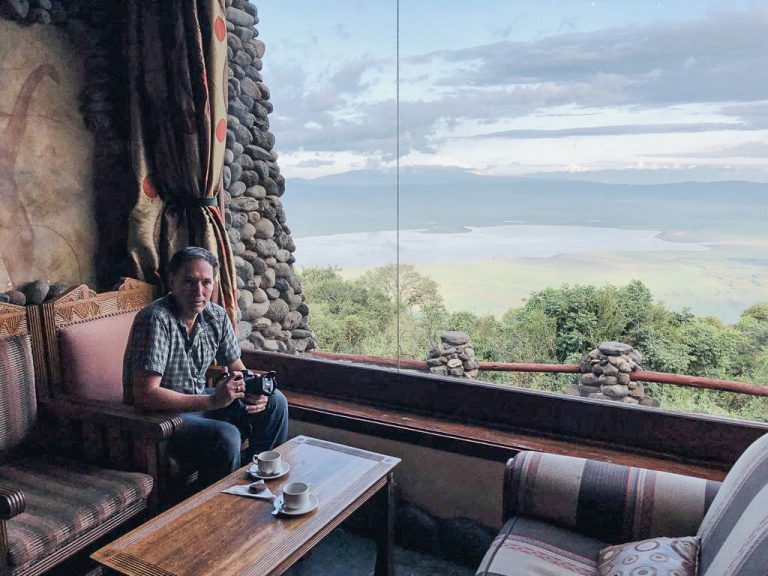 Back in the lodge I get to know the owner – Willy Chambulo. 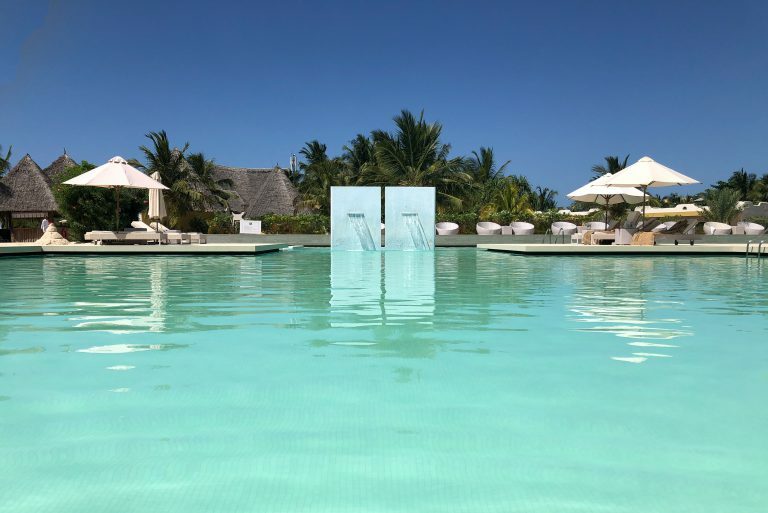 He invites us to Gin Tonics “Willy Style “and tells us one hell of a story, how he has worked his way up to own a travel empire of over 20 lodges and a safari company (Kubo Safaris), with more than 900 employees. During dinner a thunderstorm starts and it flashes every 20sec. A real spectacle. 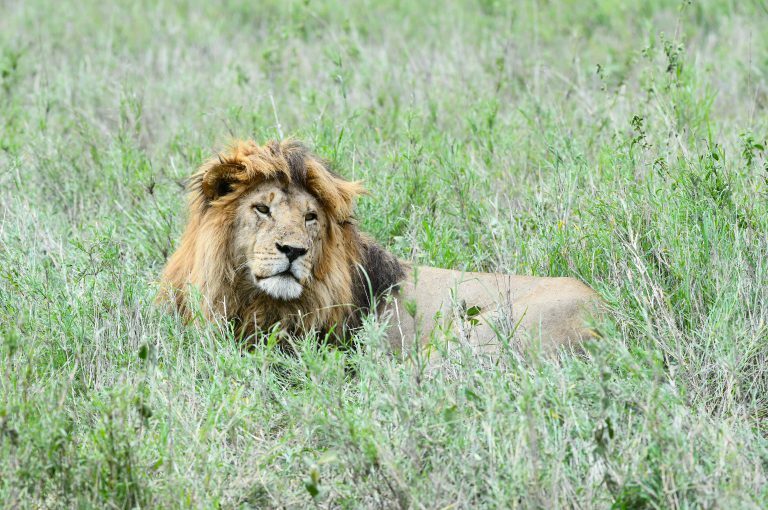 In the middle of the night we woke up from lion roar , which sounded like next to our tent. Next morning we found out “how close they were”, because they left their “marks” right next to our tent . Day 5: Departure from Kubu Kubu. The landscape is different and breathtaking again. Green wide surfaces and once again other animal species. 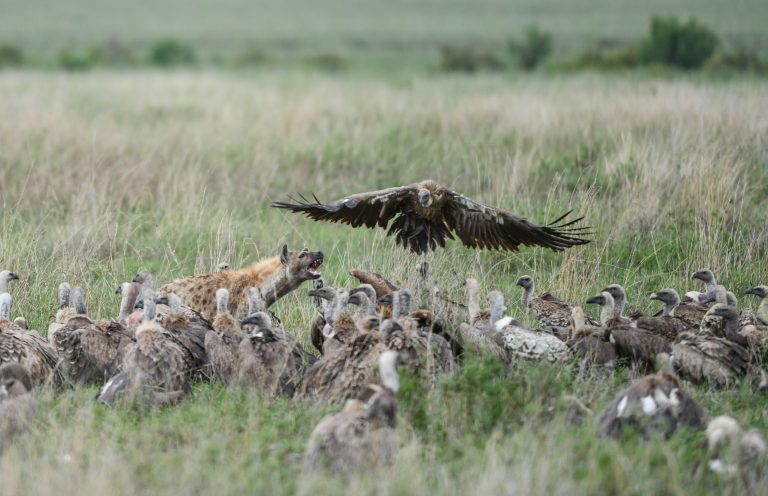 Later we come across a hyena, defending a fresh carcass against at least 50 vultures. We are heading towards the south entrance/exit of Serengeti where we have lunch and our driver pays the fee. Sharp at 2pm we have to leave. All permits are timewise restricted. 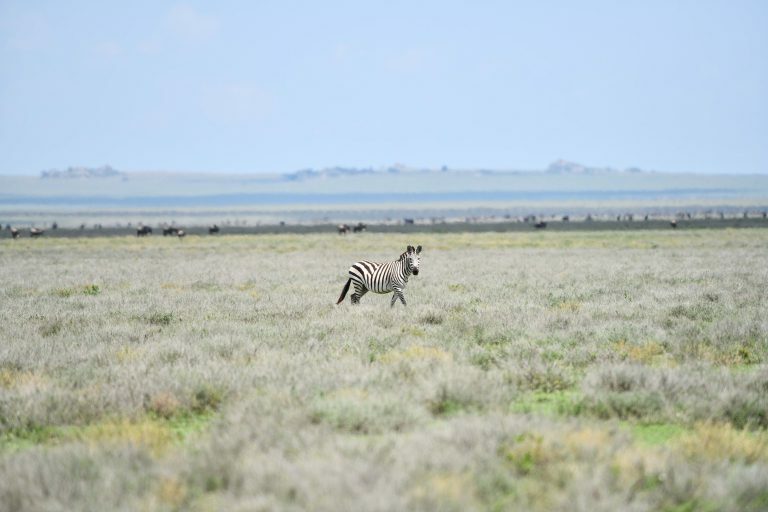 Now we get closer to the massive Gnu and Zebra herds, which migrate south. Millions are on their way. 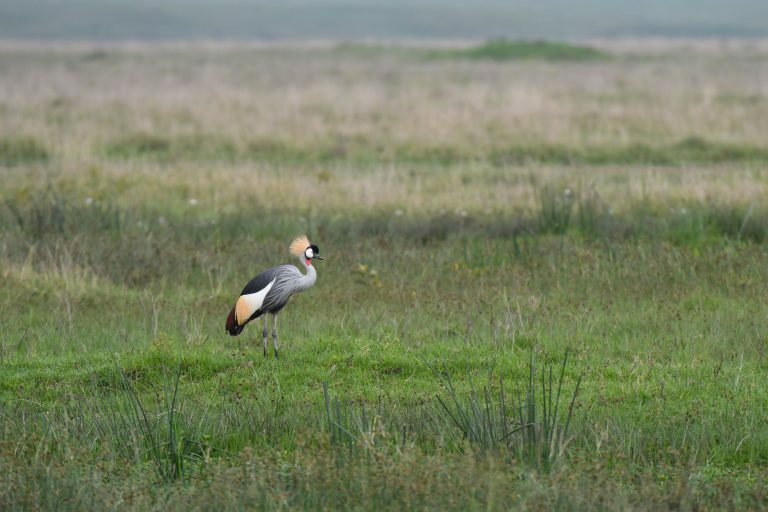 Slowly we are approaching the Ngorongoro Crater. 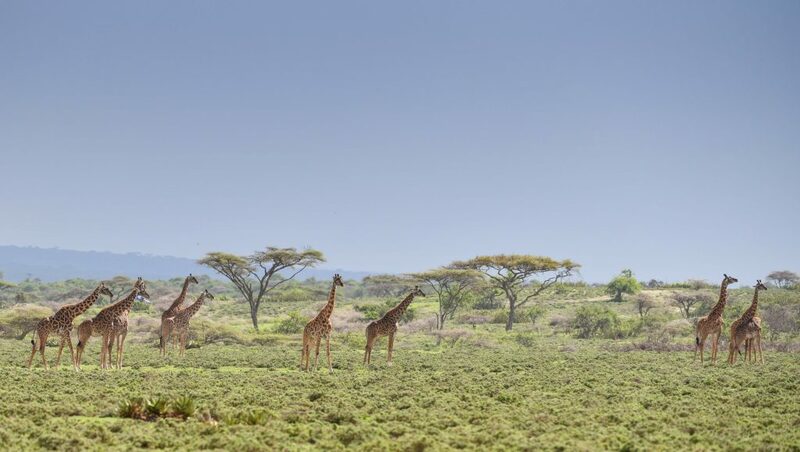 The Serengeti merges directly into the Ngorongoro protected area, about 20km behind the Serengeti Entrance gate. It has a visible stone border. 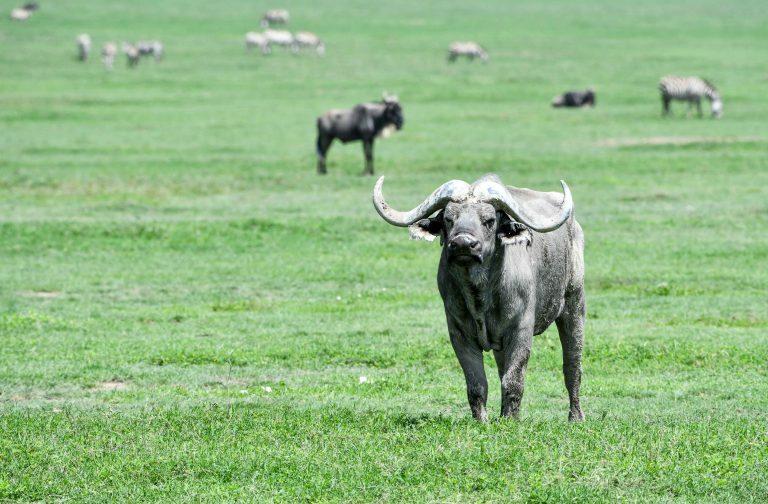 This is necessary, because the Massai living in Ngorongoro area have livestock (cattle and more) Out of this reason wildebeest and Zebras start mixing with cattle and donkeys. Slowly the path rises to the crater rim on a street that clearly needs improvement. You get extremely shaken and have to watch out that everything stays where you put it. 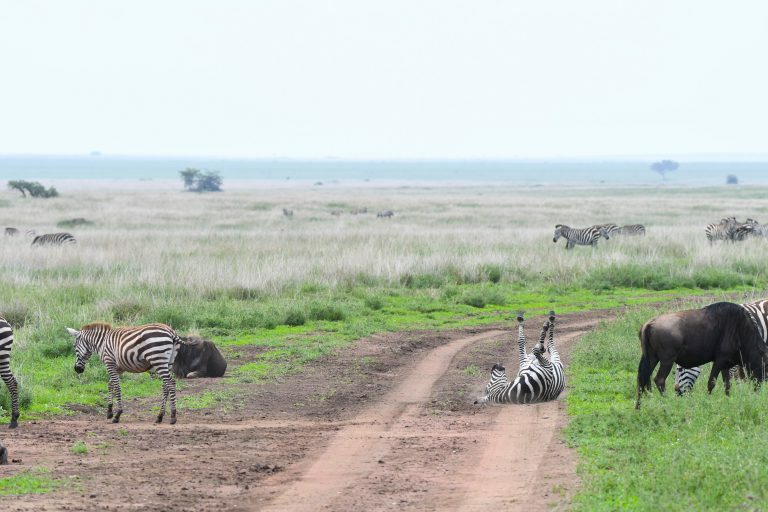 The drive from the Serengeti to the Crater takes a good 2.5 hours without larger stops. At the crater rim a paradise opens up. 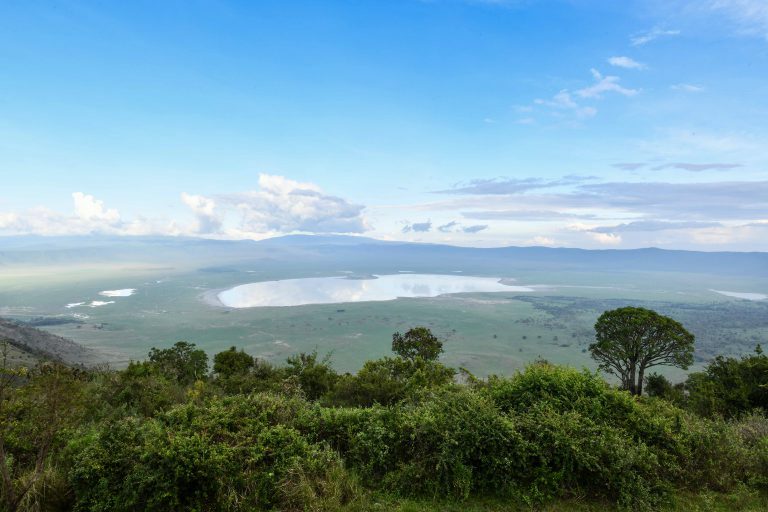 A spectacular view and one understands why this crater is a world heritage site. 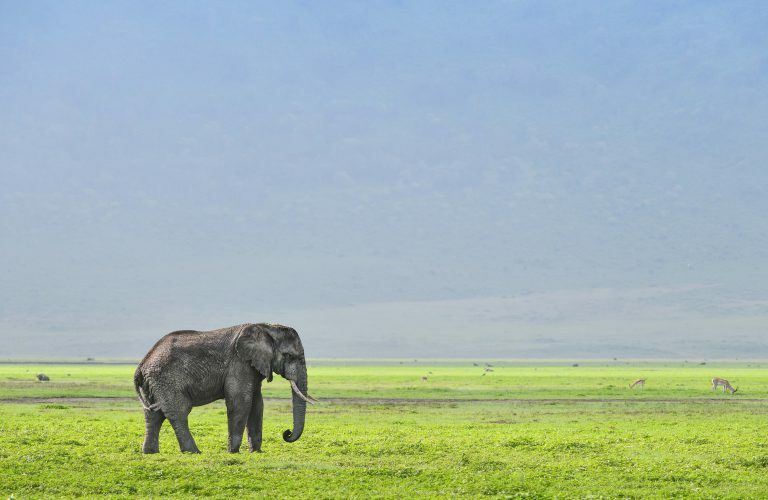 We stay in the Ngorongoro Serena Lodge. Different to our expectations it is only 22 years old (looks like from the 60s) and is well maintained. The view from room (from each room is priceless (or let’s say justifies the expensive rate). We can hardly get enough of this view and enjoy a coffee in the bar area which has a great panoramic window. Definitely one of the best viewpoints, I have seen so far . Day 6: Today is the 24th December … Merry Xmas! We are in a bit of hectic. 06:30am Breakfast and 07:00am departure including check out is little time. The crater is cloudy, but the first sunbeams cut through. The descent takes about 30min and I would not call it a street or path. Down in the crater the panorama is breathtaking with many animals on green grasland and clouds hanging low in front of the crater rim. Temperaturewise it is much warmer than expected. 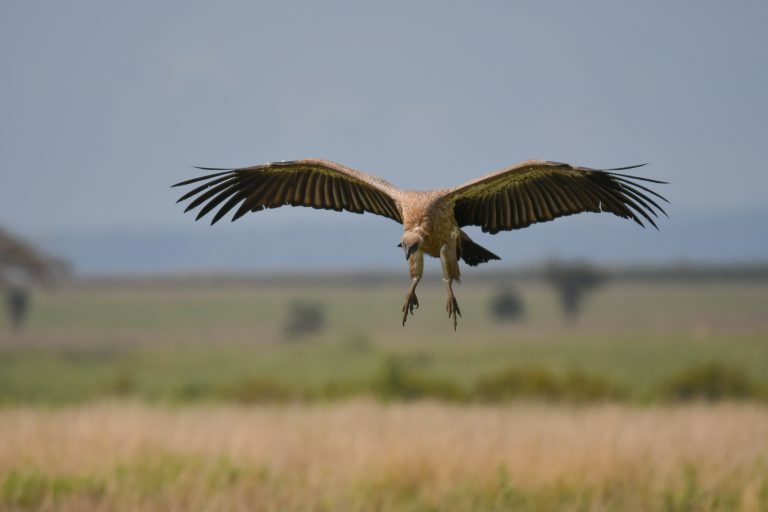 The landscape changes with every few kilometers and we see many animals from zebras to storcks and elephants. 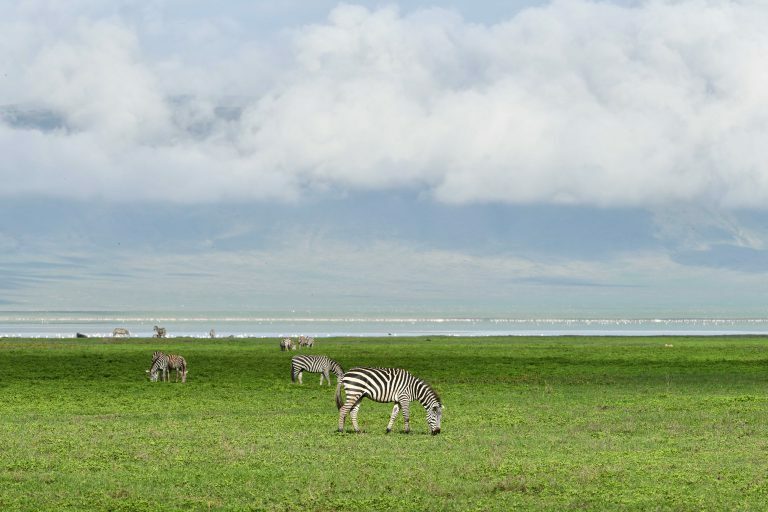 If you like to name a place “paradise” the Ngorongoro Crater is definitely on the list. In the crater, as well as in the Serengeti off road driving is forbidden. Therefore the more tele reach you have (more mm) the better, although anything beyond 600mm is also wasted given the heat “flimmer” that takes away sharpness. 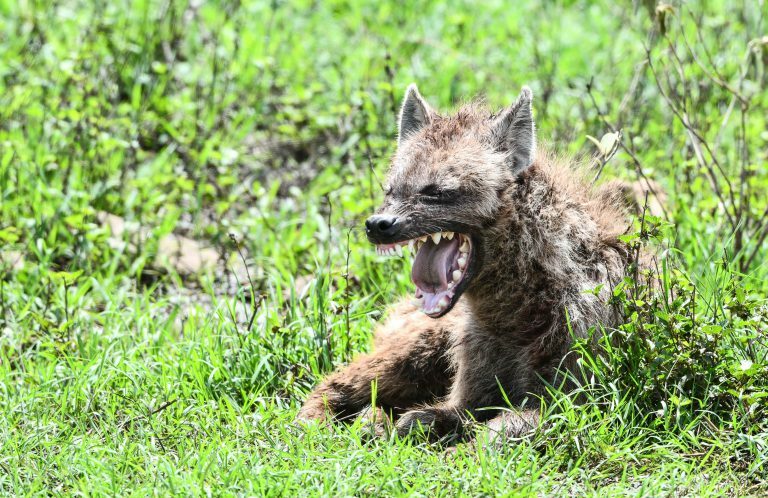 The mix of Nikon D850 with the Nikon 200-400mm VR II and the D500 with the Tamron 150-600mm was ideal. At any time you had sufficient tele reach and you could swap cameras depending on the situation. For wide landscape shots – at least on this trip – I used the Iphone, which was sufficient enough. If you want proper wide angle shots, you may want to have one camera with a wide angle lens instead of 2 tele, as I would not recommend swapping lenses in the dusty environment. 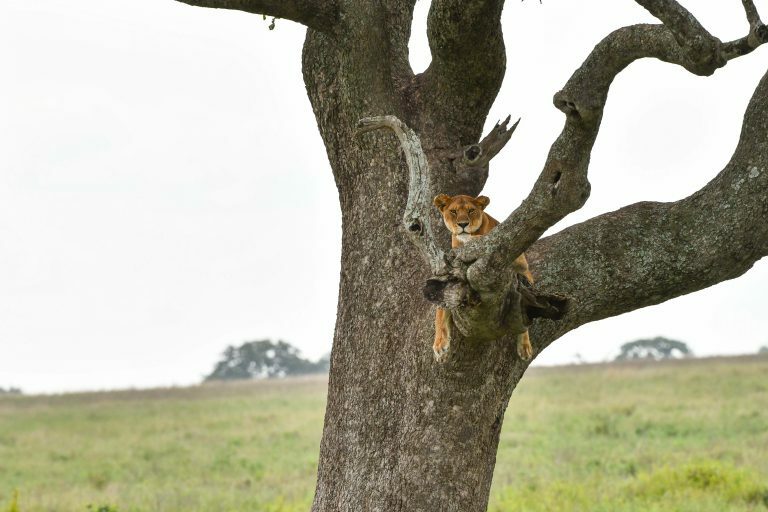 As the safari drives in the serengeti and also the Ngorongoro area start very late (around 8am) compared to South Africa, Botswana etc. it is usually light enough, even for slow aperture lenses. The same is true for the late afternoon. The sunset is late at around 7pm, so no issue at all. We never had to dial our ISO higher than 1000. 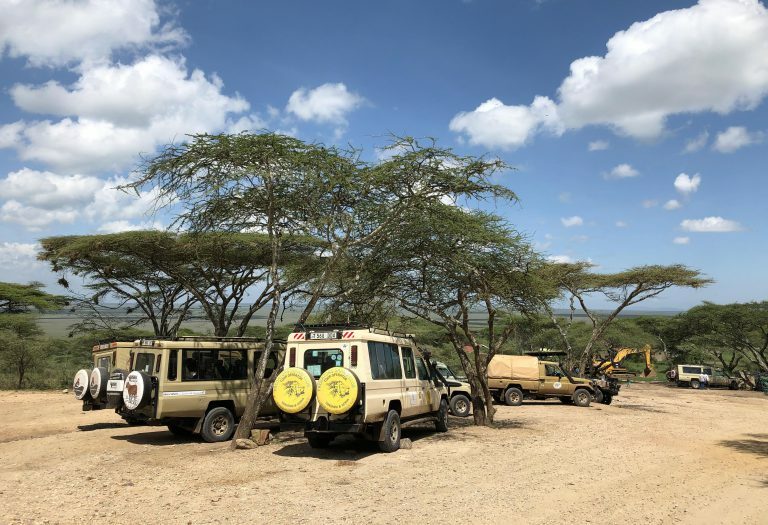 As far as we could find out, there exists an option to book off road tours in the Serengeti at least, specifically for photographers. To explore this option might be really worth it, as you get much closer to the animals and you will be the only car to do so. 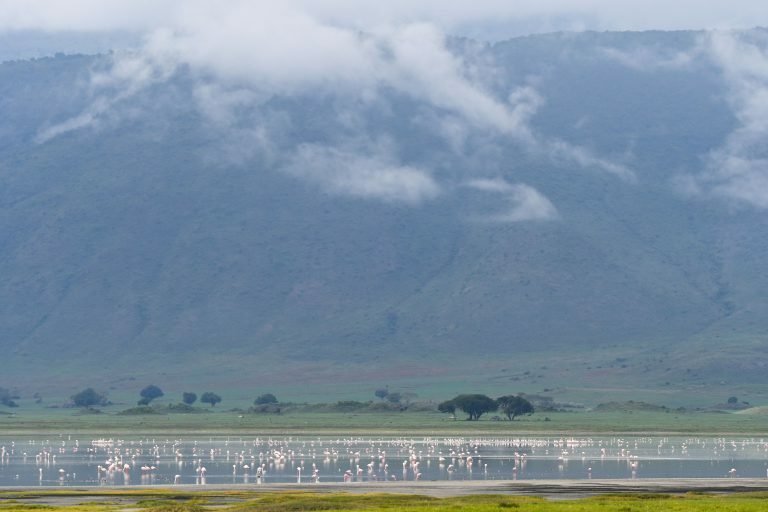 Further you should either book 2 nights in a lodge in the Ngorongoro crater area or 2 nights outside, as the permit is always valid for 24h and the way we did it (1 in, 1 outside) limits your time in the crater to just 6 hours. I would have liked to have more time from a photographic perspective, but my wife was OK, even with 6 hours. Around 1pm we start our ascent to the crater rim, which takes about 60min. On the way to the Exit gate we pass the tombstone of Prof.Grzimek and his son Michael. “Passing by” is the right description as we would have missed it, if our guide hadn’t pointed it out. There is nothing special around it, just a stone pyramid. 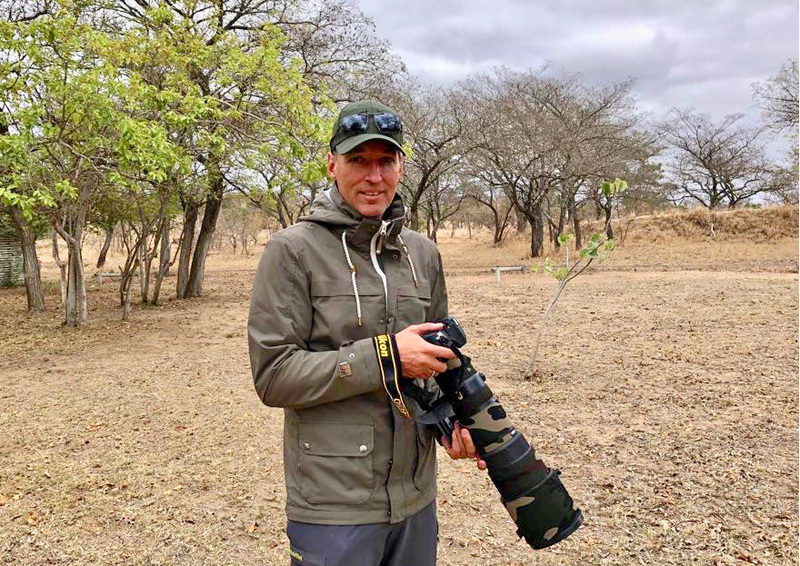 For me this was very sad to see, as in Germany this man is a hero in his fight for the protection of the Serengeti National Park. At the park exit gate – which is also the end of our safari days – a big baboon is inspecting our car for food and finally strolls off. Our guide clears the papers for a last time and then we leave this wonderful place on earth. 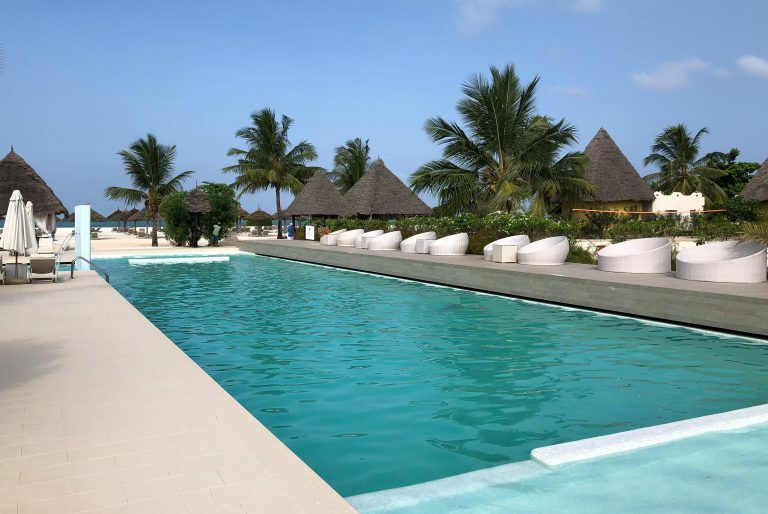 One hour later we arrive at Kitela Lodge, our last overnight stay before Zanzibar. The lodge is wonderfully located in a coffee plantage, but on the way there you pass very poor areas again. While this is normal in africa it always gives a strange feeling, as the lodges are “first world” and everything around is clearly third world. 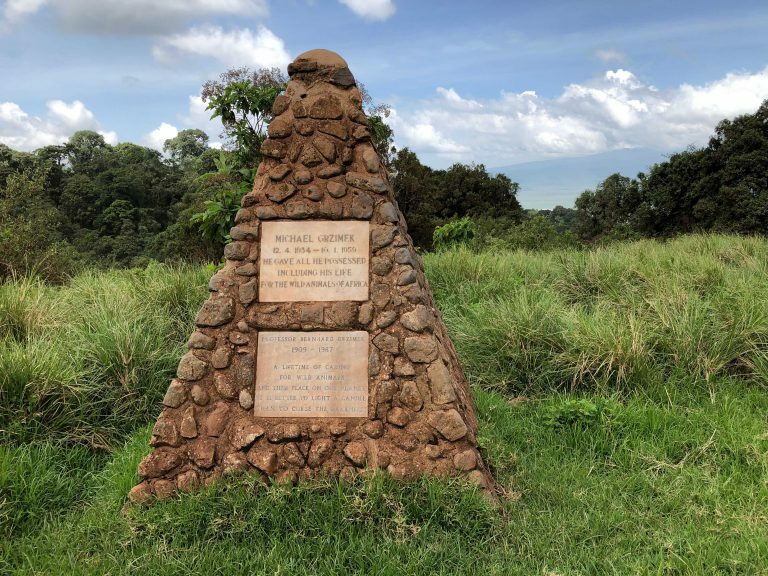 Day 7: The drive to Arusha takes a good 4hours again and we derive at the conclusion that it might have been better to stay one night in another safari lodge (like Camp Maramboi in Tarangiere National Park) instead of Kitela. Next time, this would be our choice, as you would have more time with the animals and the 4h drive would be split in 2 two hours drives, making it a bit more appealing. 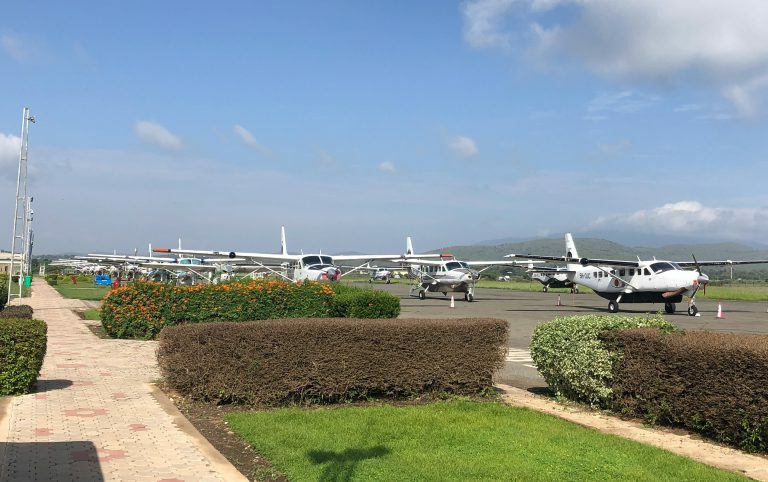 The flight from Arusha to Zanzibar takes another 1,5h and the arrival is an adventure again. The luggage is delivered “by hand”, which is hard work for the guys, given an outside temperature of around 29 degree and high humidity. The drive to our hotel (The GOLD in Kendwa) takes another 1,5h and the streets are not worth to call them streets at all. Big potholes and many other obstacles making it tough to drive, beside the traffic in Stone town. The last 2 kilometers of the way raise the question where the hell a hotel should be. You get the feeling to cut through jungle and that the “road” was just cut free. We were afraid that the car would dissappear in some of the potholes, until we finally arived at the hotel gate. Again a very unreal situation with 3rd world feeling in front of the hotel gate and a heaven behind. After about 10h of transfer time from Ngorongoro to Zanzibar (!) we feel exhausted and go for dinner straight. The buffet is stunning. All fresh, Seafood at its best. You just can’t eat enough ! Day 8: The breakfast buffet is at least equal to the dinner buffet. Absolute top quality of food and a variety you will have to look for elsewhere. Most surprising was, that despite many guest you never had to queue anywhere. 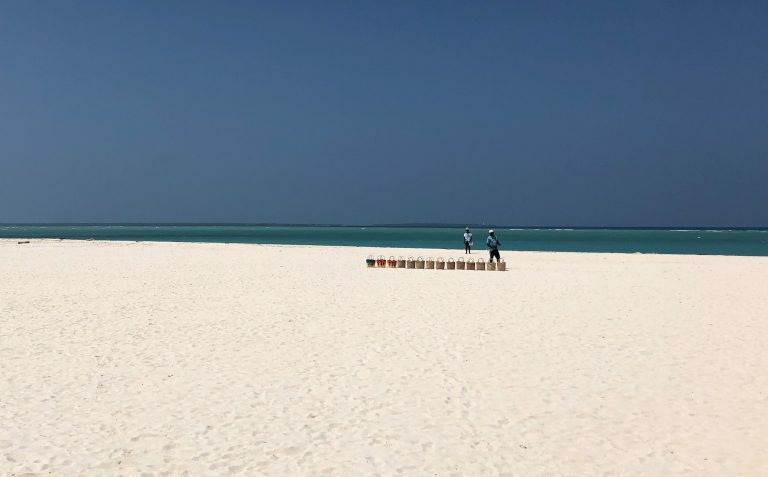 The beach is magnificient and the white powder sand is right in front of the hotel. We are happy that we bought our swim shoes, as during low tide some sharp edge mussels and sea urchins pop up, although not many. The blue turqouise color of the water is priceless. 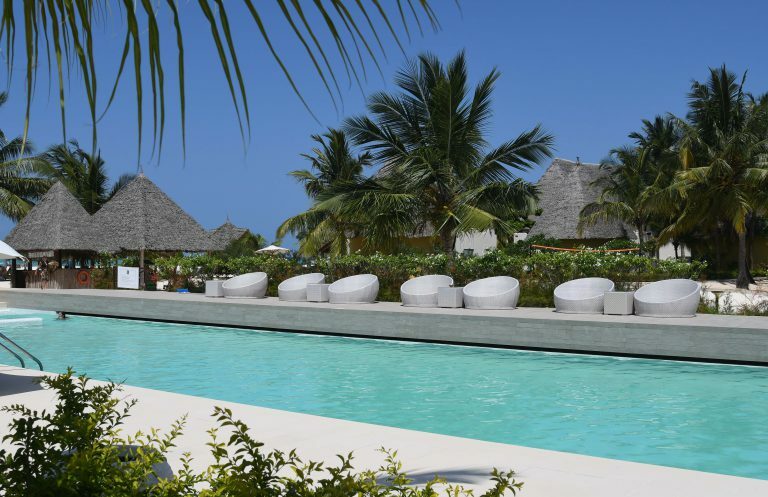 The temperature is around 30 degree and you finally feel happy to have your cool salt water pool to cool down. At sunset I take a couple of pictures. Normally the light at sunset is nicer as every photographer knows. 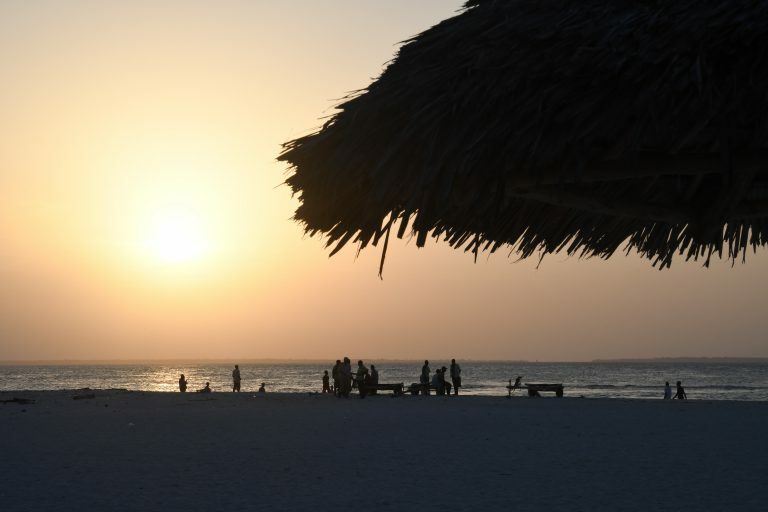 But personally I prefered the harsh lunchtime light on Zanzibar, as I liked the strong contrast and the colors better. The white sand and the blue water with the blue sky was a magical combination. Day 9: Another hot day in paradise with temperatures beyond 30 degree and clear blue sky. 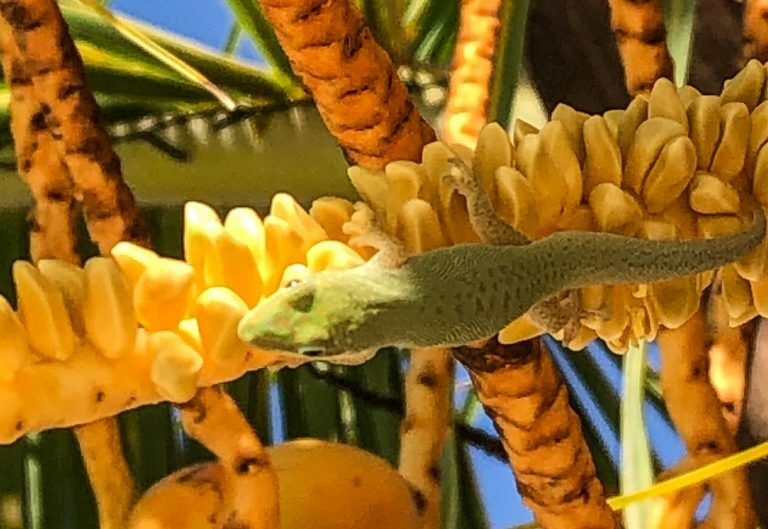 We enjoy the day and stay around the pool where geckos throw palm tree blossoms at us. 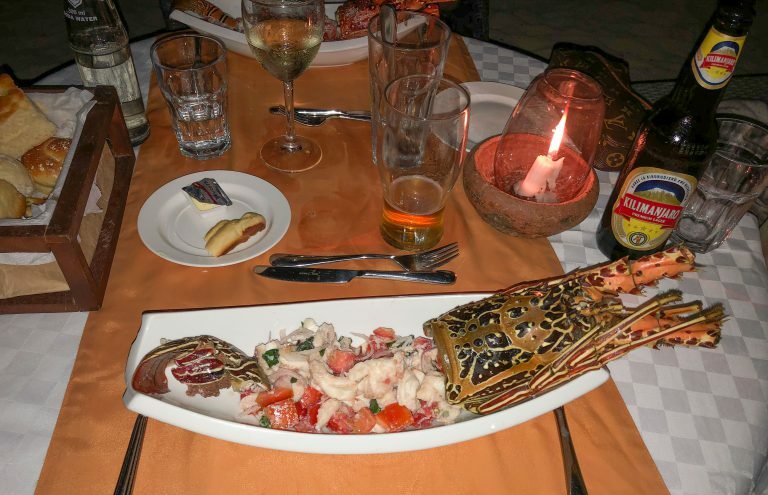 In the evening, Roberto, the GM of the hotel, invites us to an unforgettable beach dinner. A dream. Barefoot in the sand, candles, call it romantic. The dinner menue, fantastic, crowned by a big lobster. It can not get better! Right down the beach from the hotel after about 150m a beach bar with bean bag seats right on the sea. At sunset a magical place with good music. Ideal for sundowner and photographically you can capture great sunsets. Day 10: Departure day. 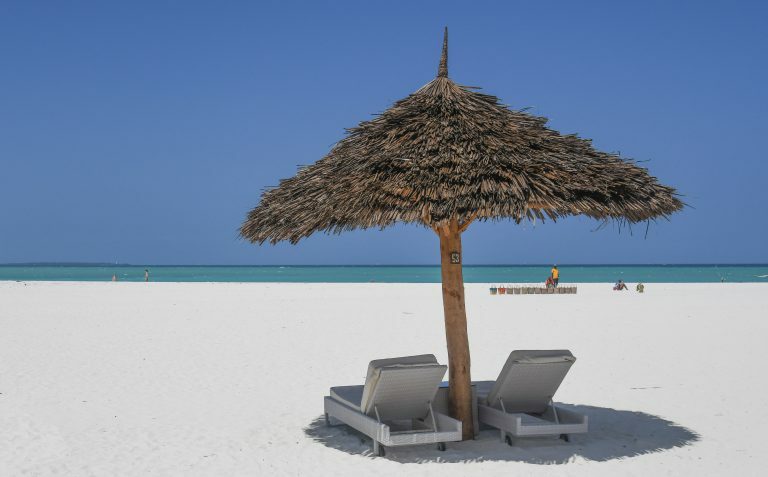 Luckily we can keep our room until pick up time and so we enjoy the day and the white sandy beaches for a last time. 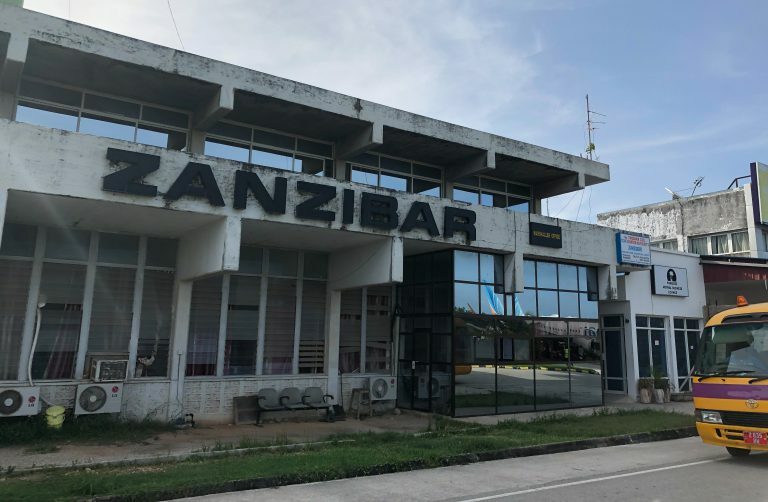 At 4pm we get picked up and 1,5h later we arrive again at Zanzibar airport, where we check in with “Precision Air”. 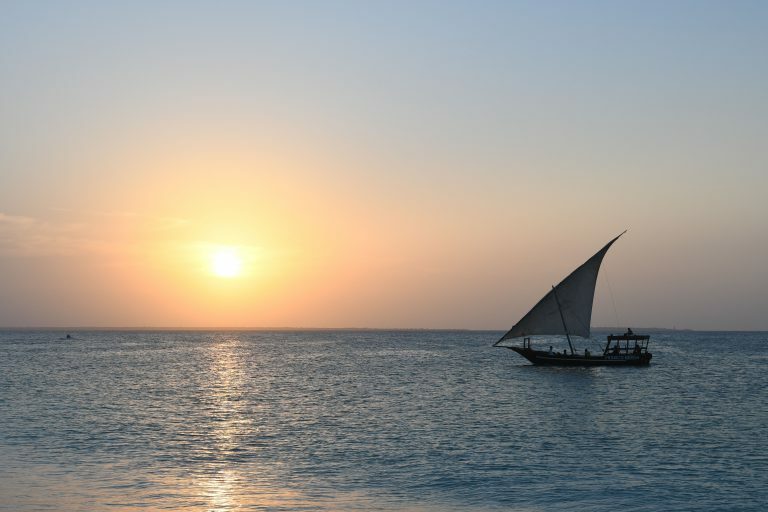 The flight from Zanzibar to Dar es Salaam takes just 15min. (without guarantee) as long as your photographic equipment fits under the seat in front of you, you are fine. Not a single time we had to put it on a scale. They were only interested in the dimensions. The Lowe Pro Runner 450 fits well, but not in the bins of the small planes, just below the front row seat. In Dar es Salaam we had to pick up our luggage again and check it in for international flights. Surprisingly we did not have to pay the announced 30USD per person for leaving the country, but we had to fill in an “exit formular”. As nobody has told us so, we queued twice, as many others, which was annoying. But this is africa…. keep your patience. We are lucky to be able to sit in the lounge, which makes waiting a bit more relaxing, given cold drinks and comfortable sofas. The next 3hours waiting time feel like ages, as we are really tired. After getting our seat in the plane, we directly fall asleep and only wake up again with the capatin announcement that we are going to land in Zurich soon. The flight back to Zurich was non.stop and took 8:45h. Next we fly to London and on to Munich, where we land at 4.35pm. The long routing was due to an extremely cheap SWISS partner tariff. A lot of waiting time, but very cheap pricing. 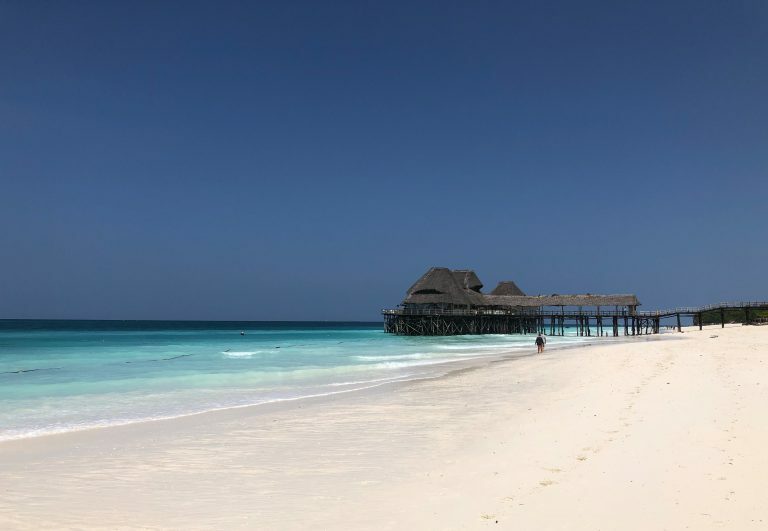 SUMMARY: A dream vacation trip with stunning photographic motives in Tanzania and on Zanzibar. In total I wish we had had 2 more days of Safari, which I recommend to everyone if money and time do not matter. 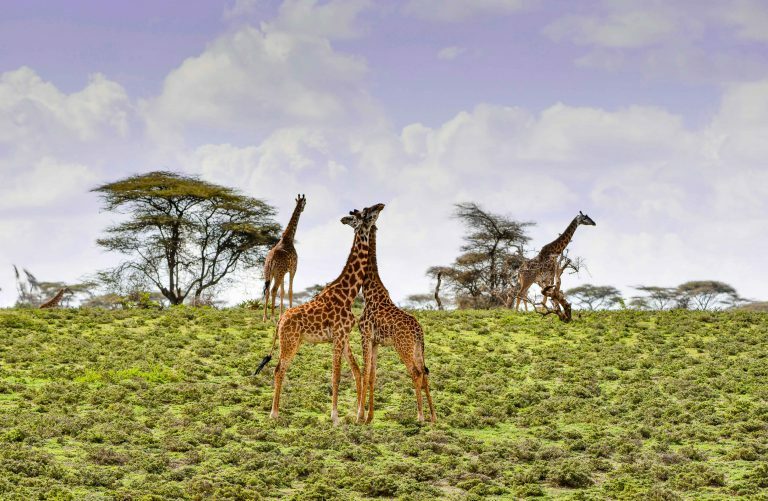 The Serengeti and the Ngorongoro Crater are must sees once in your life. Real paradises. 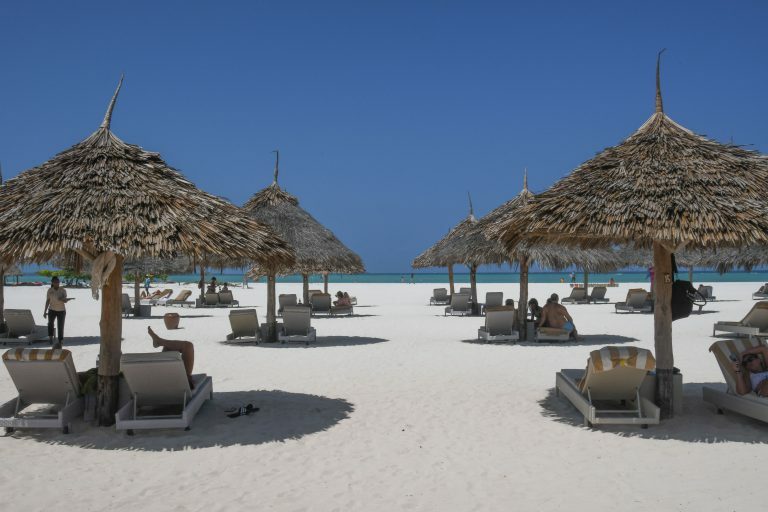 Zanzibar seduces with white powder sand beaches and clear blue water. 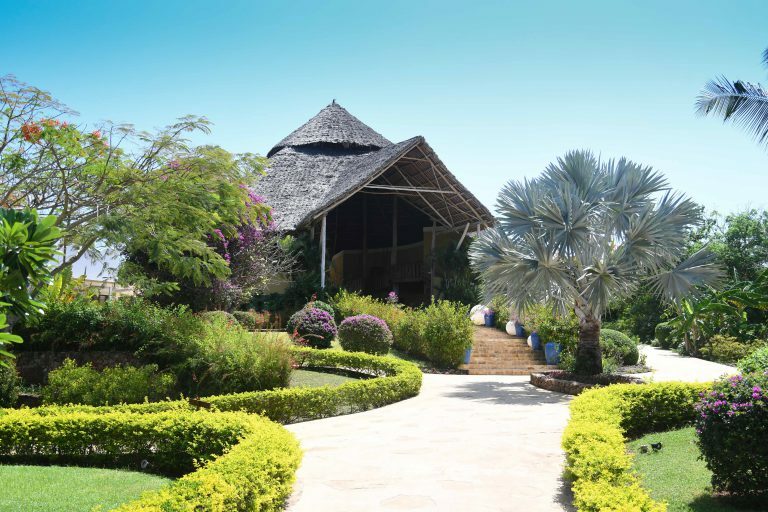 If you pick the right hotel, like the GOLD in Kendwa, you will spend unforgetable days on the island. Final tipps: We booked our trip via “karibu-safaris.de” owned by the Sears family in Munich. They are experts, specifically for Tanzania and Kenia and know almost everything. 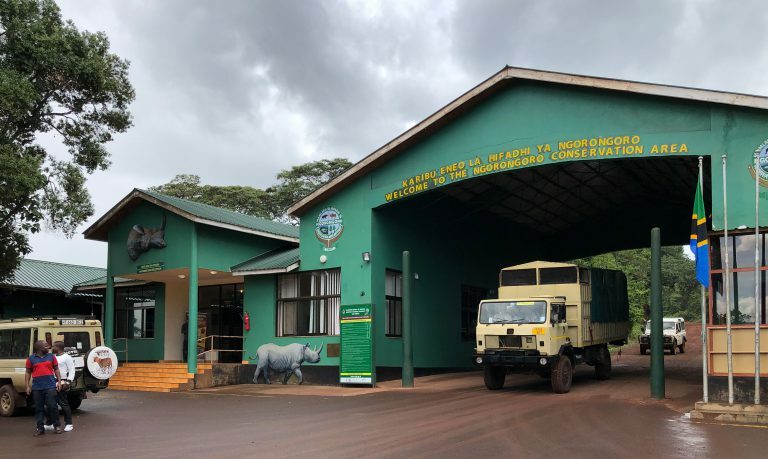 This was extremely helpful, as we had a lot of questions around “where the lodges are located”, what are the transfer times, what will the vehicle look like, do we need bean bags for the cameras etc. 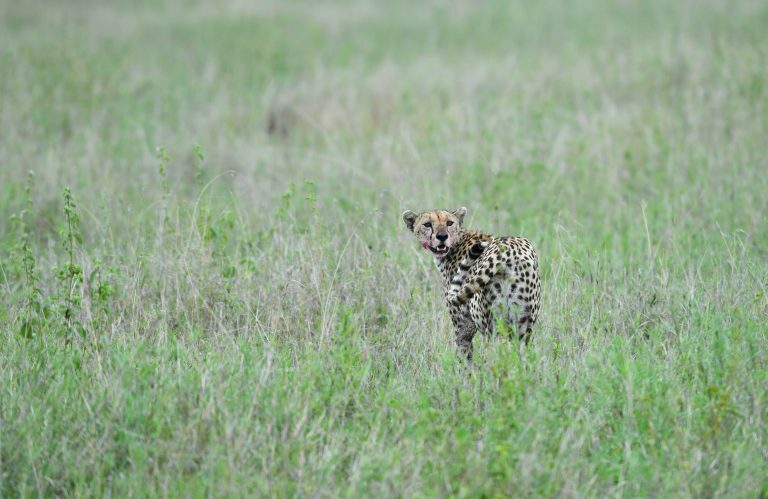 For the safari novice, this is all less important, as it is always an adventure to see wildlife for the first time. For the eperienced safari traveller this however is more than helpful, as it takes away a lot of search on your own. Always remember, good lodges are not cheap, but normally worth the money, given better service, food and exclusivity, which finally makes the difference.